2019's best Architecture and Design Events, alongside our favourite articles from January. At Tall Architects, were always on the lookout for the latest news about workplace design, sustainability and wellness. These were our favourite articles from January. The team at Tall Architects are always striving to stay up to date with the latest news, information and research related to workplace design. Here are of our favourite articles from August. Mark Eltringham discusses how while we the 'Google Office', often we don't understand why. Workplace design is complicated and needs to take into account people, place, space and culture. A one size fits all approach to design is over simplistic and simply won’t work. A recent HBR study found that communication and productivity were significantly worse in open-plan offices than other workplaces. But the study was flawed, focusing only on an extreme open plan office with no walls, and no partitions. 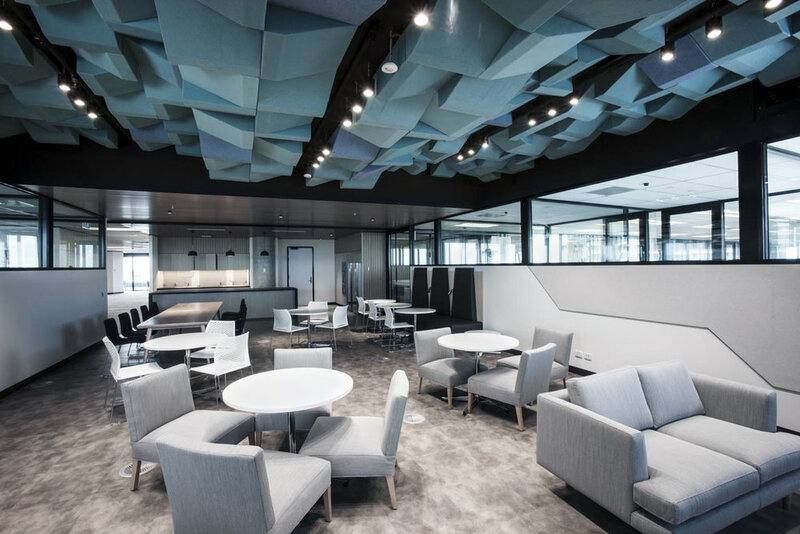 The vast majority of offices used by leading organisations that are categorised as “open plan” have collaboration spaces and dedicated areas for private conversation. Read more about it here. A new report from the Dexus Property group has looked into what employees want in a workplace. This report was based on a survey of 300 Australian executives in growing SME’s and has some remarkable findings. Up until recently, the way that we measured employee wellness has been mostly contained to evidence gathered by educators and research institutes. Many workplaces are realising the far-reaching benefits of creating a healthier workplace (such as reducing absenteeism, boosting engagement and lifting employee morale) but go about it the wrong way. Employee wellness programs need to do far more than giving employees information and steps to take to better their health. This approach usually results in very little take-up among employees and does not result in any measurable behavioural change. The Three Characteristics that unite the world's most admirable businesses. What makes a company admirable? That was the question that Forbes Magazine and the Korn Ferry Institute set out to answer when studied 486 companies to find out what the best companies looked like, and what qualities aspirational companies wished they could achieve. According to the survey, there are three characteristics that unitie the world's top performing businesses. Two very different types of workplace behaviour are necessary for innovation. According to Bech Johnson from Haworth's research and innovation team "Offices tend to promote only one kind of work. They are either open and collaborated or highly segmented. It's about finding the right balance between those two types of spaces while also providing spaces for respite." A recent survey on workplace engagement has found that only one in five employees is truly engaged with their workplace. A large part of this is due to modern workplaces being too complex. In these simple workplaces, employees can get their work done more easily, feel more productive and fulfilled which in turn creates ‘brand champions’ who tell anyone who cares to listen about the benefits of working for their organisation. The ideal workplace showcases innovative and inventive design. That’s according to a new report by financial firm Capital One. The report was based on a broad sample of 2,500 American professionals and revealed some of the ways that workplace design influences productivity and happiness whilst at work. “As a data-driven company, it makes sense to get insights from our major markets to ensure that our strategy aligns with the expectations of top talent”. Six workplace design factors defining top performing organisations. A recent report from the Boston Consulting Group 'Boosting Performance Through Organisational Design' has found six key factors of workplace design that define top performing organisations. The study focused on what separates top performing organisations (those with high levels of growth and profitability) from other companies. A new JLL Research study has found that 70% of employees say that happiness at work is the best ingredient for a unique work experience. Future friendly workplace strategy should focus on the human element. Will the gig economy kill the office? Technology enabling location independent work. Past success of companies embracing flexible working arrangements. Agile employers embracing the gig economy as a cost saving measure. So what does the gig economy mean for the workplace? On average, employee wellness programs generate returns of about 3 to 1. Over 90% of organisations were already providing employee wellness programs, and it is a trend that will continue to rise in importance as organisations compete for the best people.